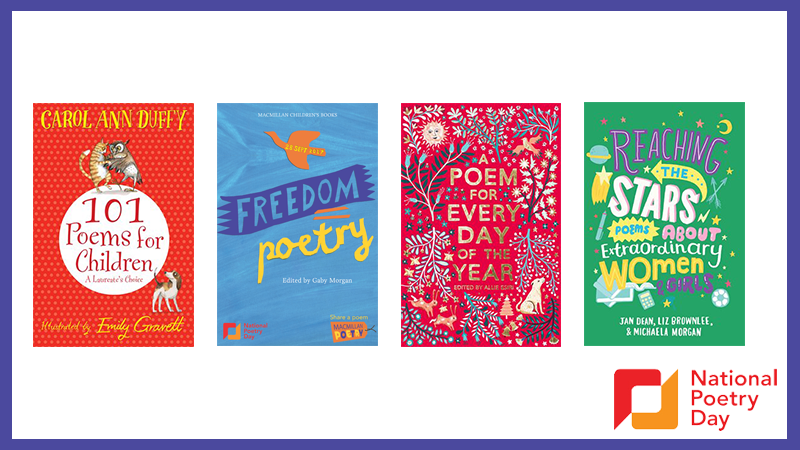 The theme for National Poetry Day 2017 is 'freedom'. Here are a few poems that celebrate one of the most powerful words in the English language. Download a free ebook full of poems, including Liz Brownlee's poem, inspired by this year's theme of 'freedom' here. A Poem For Every Day of the Year is a magnificent collection of 366 poems compiled by Allie Esiri, one to share on every day of the year. These poems are funny, thoughtful, inspiring, humbling, informative, quiet, loud, small, epic, peaceful, energetic, upbeat, motivating, and empowering! By Jan Dean, from Reaching the Stars. for someone else to rescue you. Twist one. Plait one. Improvise. Use your head for more than growing hair. Shimmy down and leg it. This feisty collection of brand-new poems is a celebration of the achievements of women and girls throughout history. It includes poems about Malala Yousafzai, Rosa Parks, Margaret Hamilton, Ada Lovelace, Helen Keller, Mary Shelley, Edith Cavell and many more. that’s ours for the keeping. Featuring such classic poems as 'The Owl and the Pussycat' by Edward Lear and Lewis Carroll's 'Jabberwocky' alongside Edwin Morgan's 'The Loch Ness Monster's Song' and 'Balloons' by Sylvia Plath, Carol Ann Duffy has chosen her favourite poems for children of all ages. With beautiful illustrations by Emily Gravett.